The [Chinese government] authorities had already sent some technicians to install CCTV cameras starting in 2016 to 'maintain social order,' Father Francis, an underground priest, told ucanews.com. By March 15, all the parishes that Father Francis serves had received installation notices. This is being done in Zhejiang, Hangzhou. Neither freedom of religious practice nor speech exist in China though the Chinese government purports to support such freedoms. In practice, religions are monitored and regulated, far unlike the West. In particular, the Chinese government is concerned about any challenges to their power, especially from organized efforts like a Church. The Chinese government runs massive video surveillance systems inside China, called 'Skynet' with hundreds of thousands of cameras centrally monitored in various China cities. The government touts the ability to track individuals across areas including using LPR, vehicle and facial recognition. The cameras spying on Churches can be connected into such networks. Since the Chinese government owns Hikvision, this creates a particular issue for Hikvision's global expansion. If the Chinese government is willing to use video surveillance to spy on its own people, what is the Chinese government willing to do with the video surveillance manufacturer it owns? Especially given the Chinese's government cyber security track record, if there are other Chinese government policy objectives that Hikvision's equipment can help support, why would the Chinese government not use it? The Zhejiang government issued the orders to ­churches in Wenzhou late last year and began implementing them before the Lunar New Year ­holiday in January. The confrontation with the city’s Christian community, which is estimated to number roughly one million, comes three years after the authorities ordered the removal of crosses on top of church buildings, on the grounds that they were illegal structures. Opponents called the 2014 ­campaign religious persecution. 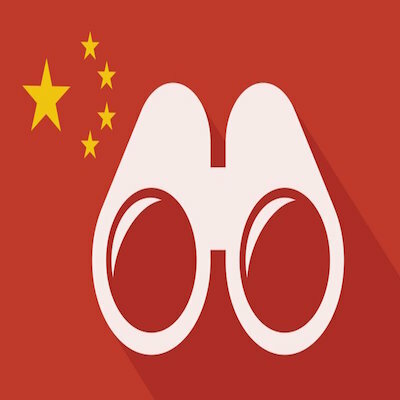 China Aid said churches were told to install cameras at gates, rostrums, offering boxes and ­other places, despite strong ­opposition from churchgoers who claimed the surveillance ­infringed their privacy. Comments (65) : PRO Members only. Login. or Join.